West Ham United hit back almost immediately against Liverpool on Monday night, and they did so in some style. Sadio Mane had given the visitors the lead in the 22nd minute, but the Hammers were level again just six minutes later as Michail Antonio found the back of the net. 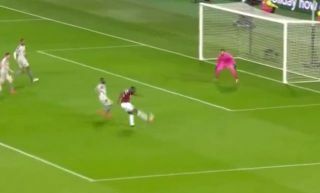 As seen in the video below, it was a brilliantly worked set-piece routine from West Ham which unlocked the Liverpool defence, as Felipe Anderson played Antonio in down the right side after his smart run to lose his marker. The 28-year-old showed class and composure to send his effort past Alisson, as it was just the response that Manuel Pellegrini would have been looking for from his players. The Merseyside giants can ill-afford to drop more points after being held by Leicester City last time out, and coupled with Man City winning on Sunday, the pressure will only be building on Jurgen Klopp’s side if they can’t find a way to regain the lead and pick up three points at the London Stadium.